Policing models are changing, evolving from solely reactive approaches to implementing proactive efforts to strengthen relationships between police officers and the people they protect. Reactive policing, which includes routine patrol, responding to calls and following up on investigations, is a more traditional model. Proactive policing, which includes community policing, requires more communication and engagement with community members to try and prevent crimes from happening in the first place. Community policing is growing and it’s here to stay. Community policing involves the systematic use of partnerships and problem-solving techniques to proactively address the conditions that cause public safety issues, including crime, social disorder, and fear of crime, according to the International Association of Chiefs of Police (IACP) Community Policing Committee. For example, in 2013, the town of Mankato, Minnesota won the Community Policing Award, from the IACP and Cisco, for their commitment to this philosophy. One component of their community policing efforts is The Tapestry Project, which Todd A. Miller, Director of Public Safety, Mankato Department of Public Safety wrote about on Cisco’s blog. The project connects refugees and the rest of the community through education, mentorship and cross-cultural communication to prevent crime and other social issues. Community policing is the notion that by working together and trusting each other, officers and citizens can both contribute to safer communities. Today, organizations across the country are being recognized for similar efforts. In Winston-Salem, Corporal Randall White finds himself fixing cars, offering rides to stranded citizens, and more. He was featured on the Community Oriented Policing Services (COPS) website as the December 2017 winner of the Community Policing in Action Photo Contest. 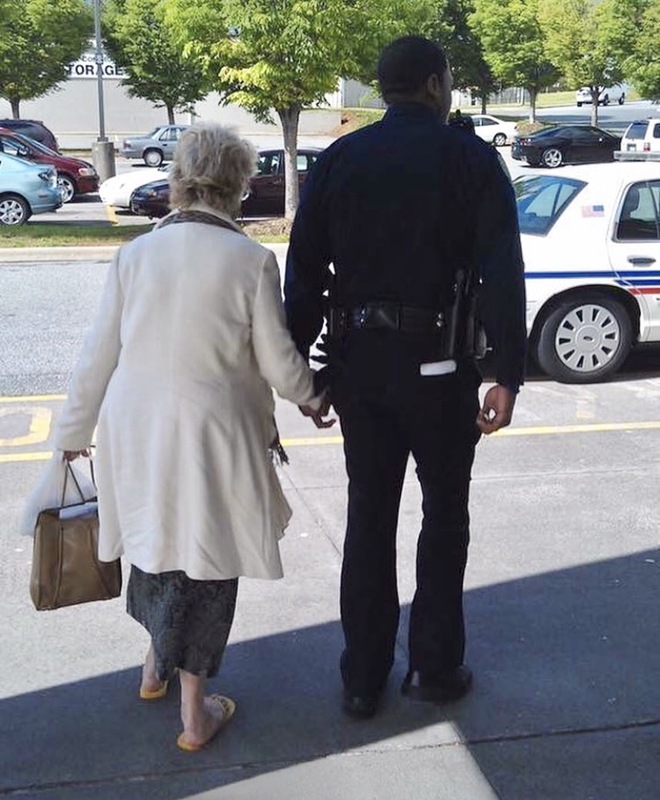 In Chicago, Officer Roderique McClain ensures local senior citizens are registered for emergency medical bracelets, and once a month, he hosts friendly meet-and-greets at senior living facilities, according to November 2017 issue of the COPS’ e-newsletter, The Dispatch. These examples are a testament to how far community policing has come in the last few decades. It was initially born from the social unrest of the 1960s and 70s, when rising crime rates spread an already-exhausted police force to the absolute breaking point. Law enforcement realized that, in order to stem criminal activity, they had to relate differently to the people and communities they served. They strived to become partners with the community, instead of protectors of the community, and while the national perception of law enforcement isn’t always positive, community policing is slowly changing that. And the initiative is gaining steam. As part of those efforts, Lynch announced a $119 million grant to law enforcement agencies across the country, designed to create new law enforcement positions (and protect existing positions) – hoping to strengthen the relationship between officer and citizen, and bridge the connection between the police and their communities.